Algae are plants that grow naturally in our rivers and wetlands but when they bloom they are undesirable for many reasons. They kill aquatic flora and fauna by starving them of oxygen, can be toxic to humans and animals and can cause skin irritations, are unsightly and foul smelling, and prevent recreational use of the river. Problems due to excess nutrients are exacerbated by erosion and sedimentation, loss of fringing vegetation and decreased river flow. 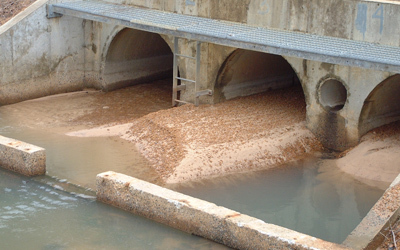 Erosion and sedimentation occurs naturally in any river system but there are many factors which prevent the river system from acting naturally. 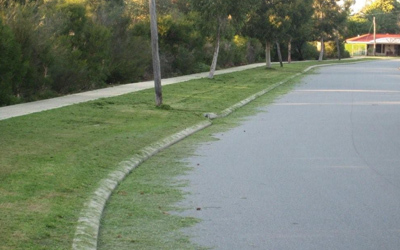 Localised erosion can occur at the surface from boat wash and foreshore use. Erosion is also caused by the clearing of native vegetation for urban and rural development and loss/damage of fringing vegetation. 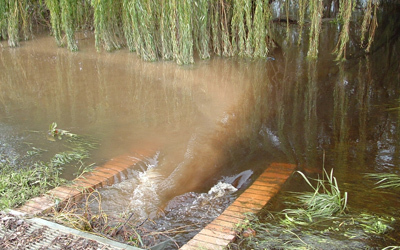 Uncontrolled foreshore access by pedestrians may also lead to erosion of river banks. 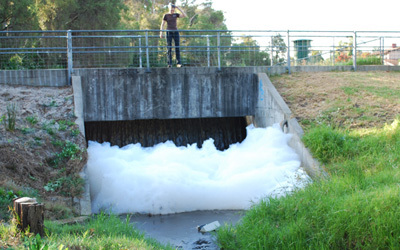 Chemical pollutants from industry and households enter the river from storm water runoff, contaminated groundwater from light industrial areas, old landfill sites, leaking storage tanks (eg. petrol stations), and waste/fuel spills from boats. 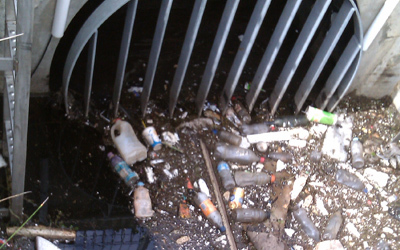 The problem of litter is also a serious threat to our waterways. 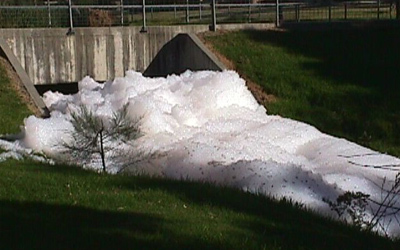 Unfortunately the storm water system also transports this litter, known as Gross Pollution, to our lakes and rivers. Aside from the ugly scar it leaves on the landscape this pollution is a danger to our wildlife. For example, turtles can trap their heads in bottles and plastic wraps itself around birds. The presence of weeds is a serious problem in the region. Many indigenous plant communities are suffering from weed infestation and competition. There are many reasons for the presence of weeds. Past land uses, such as clearing and developing pasture for grazing, introduced many grass and weed species. 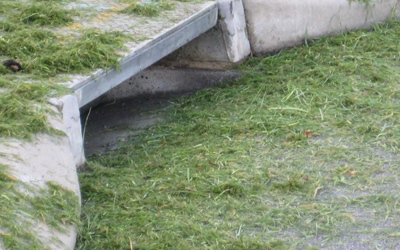 Soil disturbance from vehicle access, construction of paths, other facilities or drainage channels allows weeds to establish. Frequent fires promotes the growth of weeds. Drainage outlets that flush out saline wetlands with fresh water promote the growth of weeds to the detriment of the existing vegetation. Garden refuse introduces many plants that vigorously compete with native vegetation. 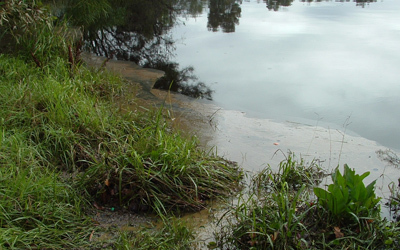 The dumping of aquarium contents in the river system is also discouraged as this can lead to the spread of aquatic weeds. Climate change has the potential to influence the health of the region through decreased rainfall/winter flows, an increase in movement of marine water upstream, and extended periods of warm, still conditions. As groundwater levels decrease, climate change may also increase the risk of acidification and heavy metal contamination that can result from disturbance of acid sulfate soils. All these animals have a detrimental effect on the wildlife. Feral foxes and cats and uncontrolled pets can kill or drive away native birds, reptiles and small mammals. Pet fish should not be disposed of in the river, or waterways and drains flowing into it. Wildfires threaten human life, property and nature conservation values. Large areas of vegetation in close proximity to urban development will be threatened by fire from natural causes but in many instances, fires will result from human activities, being either accidentally or deliberately lit.